We love to read at our house and math is not a favorite subject right now. So, I thought Life of Fred would be the perfect compromise. We could read, but about math! I hoped that it would inspire and encourage Curly as she works on addition. We’ve been through Apples and are chapters away from finishing Butterflies so I thought I would share my thoughts so far. “Meh” and “shrug” would accurately summarize my feelings. I just don’t know. It’s so strange and random and all over the place! Curly and Tiger enjoy most parts of the story line. But Curly is so wrapped up in the story that she wants to skip over any math or math concept and keep going. So far we’ve covered the numbers that add up to 7 and the numbers that add to 9. Telling time was also introduced slowly in each chapter. There have been many other math terms and random concepts thrown in as well. There are also science concepts and even grammar concepts too! The problem with some of the concepts are that they are WAY over Curly’s head. In Butterflies, a whole chapter is devoted to quotes within quotations that are within a quote. I was feeling confused after we finished that portion. I understand that having an introduction to concepts is necessary, but sometimes the concepts are just too much. Other concepts are right on target like deciduous and evergreen trees. Curly was able to understand and apply her understanding of that topic. I appreciate all the information in the books and they have sparked some wonderful discussions. But I’m almost certain that Curly is retaining nothing from the books. I also don’t like the random way in which topics creep into each chapter. The chapters don’t always seem to build on each other either. And when there is a question that reviews a topic addressed earlier, Curly is always completely stumped. I am not a believer in drill and kill math. That’s how I learned in school (or didn’t really learn, actually). I did not enjoy math and I could not apply math. Math with application and with meaning is what I look for in a curriculum. However, math does require review, practice, and lots of application. What’s found in Fred would not be enough for Curly and the way she learns (or for me either if I were 6). Life of Fred is a stand-alone curriculum (at least the older level is described as such). Because the site does not say otherwise, I’m assuming the elementary series is supposed to be stand-alone as well. The site discusses the short falls of all other math curricula and the unpreparedness of students once that curricula was finished. But I just don’t see how the elementary series on their own would fill all the gaps either, at least in our house. The books are touted to be self-teaching and clear. Well, without me sitting with Curly and explaining many of the concepts, she would be lost. Most of the humor in the books goes right over her head as well. I understand that the elementary books are to be read and enjoyed multiple times to aid retention, but I still think we would be lacking in math understanding and practice even after reading them more than once. Right now, we’re enjoying the books as a summer read and supplement. I don’t plan to switch over completely to Fred and don’t want to give up what we are already using. I’m on the fence as to whether I should order the next 2 books or not. The kids like to know what’s happening to Fred and I enjoy our discussions after we read each chapter. But I just don’t love the books like I thought I would. The story is sometimes funny and enjoyable and other times it is just so strange or seems disconnected. I’m also very bothered by the formatting of the books and the numerous typos I’ve noticed in Butterflies. Many of them are simple, like the word “it” written in place of “if” but it bothers me nonetheless. So, I’m not sure Fred is living up to my expectations and hopes. I’m not sure I want to continue but I’m not sure I want to give them up entirely just yet. I like to keep things varied and interesting and try to find unique curricula that promotes out of the box thinking. I’m just wondering if Fred falls too far outside my eclectic box. 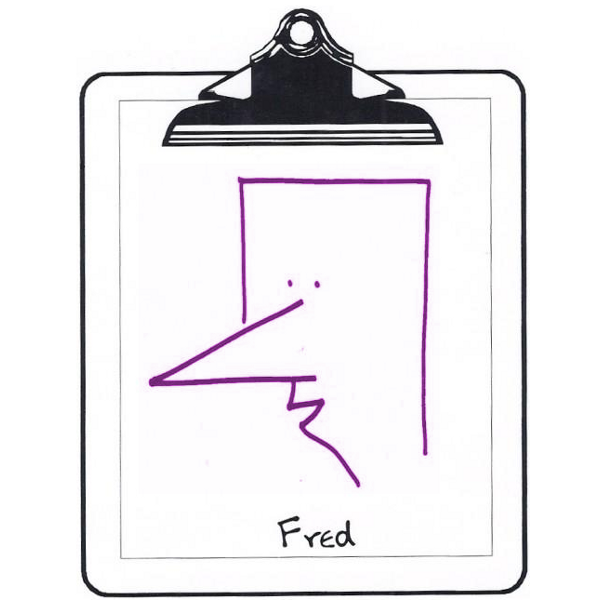 Has anyone else used Fred? Have you seen vast improvements in math retention and application? Did you find the story line interesting or just strange? Do you plan to continue with the series? I pretty much feel the way you do. I have one bug(nickname for my kiddos), that is using the elementary math. She loves the books but I am not sure she is getting all of what she needs. I feel "I" would be confused all of the time! For me, it just doesn't seem like a math curriculum. She wants to do the whole elementary set, I think because of the story line, but I am worried that she might be missing bits and pieces of important stuff. I am still trying to decide if I should take the chance and let her continue or if I should just find a new curriculum and let LOF be a supplement. She really enjoys reading the books. We are the same way here! My daughter enjoys the books but I think it's just the story. She is totally lost on some of the concepts-like when they mentioned some calculus concepts in Butterflies. I was baffled by those too! There is no practice and barely any review. And I really dislike the order in which the concepts are introduced. It is so random and some concepts are so beyond the elementary level and so is the humor! I don't want to continue with the books but I think my daughter wants to keep reading. They will NOT be a sole curriculum here! They can be a fun supplement or even a read aloud but that's it. I like too many other things so much better!!! !